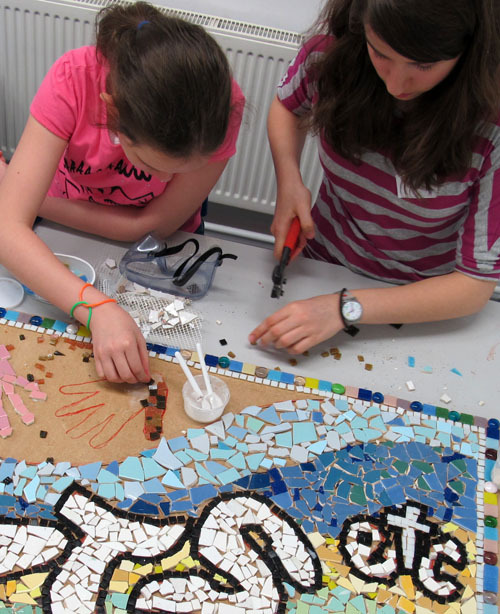 Create Mosaic Workshops offer mosaic workshops and longer projects to primary, secondary and special needs schools. We specialise in incorporating the children’s own artwork into the mosaic using their initial drawings and/or handmade ceramic pieces. Projects can also link into curriculum topics such as Roman mosaics, history or maths classes. Children can also learn about the history of mosaic and how to translate designs into high quality mosaics.